I’m also not big on gratuitous giving, which might surprise you (or might not, depending on how often you read this blog), and gratuitous giving can come in many shapes and sizes, but this article on Huffington Post regarding the obsession with party favor bags made me want to streamline my focus a bit. I love favors… I love shopping for favors, I love packaging favors–hell, one of the Categories on my blog is, yep…”Favors.” But here’s the thing. They have a time and place, and as a gift I still put them through my three-principle filter of (1) Relevance / Usefulness (2) Timelessness (3) Sentiment. Here’s a round up of my top five favorite favor ideas of the last couple years. 1. Photographs: This can take a few forms depending on how your party is structured, but a few options include photobooth or collaging around a photograph taken at the party (see this party as an example). 2. Dual Purpose Table-Settings: Another great party gift–coincidentally also related to the photograph example–are picture frames. 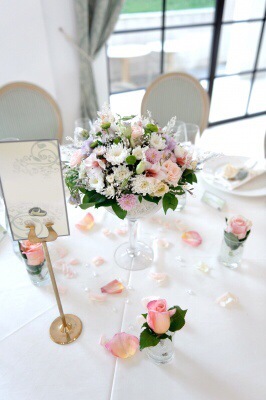 They work really well as place card holders, look really lovely on a table and can add some dimension to your table setting (see some other examples in this previous post). Depending on the event, your party-goer-recipient might use it to frame a snap-shot from the day, and if you send a thank-you note that is a picture, you can keep the size/shape in mind when creating your greeting. 3. Multi Media Keepsake: More often people are setting up interactive media stations at parties like singing (think sound-proof karaoke), or have photographer and videographers take shots and footage that are projected throughout the party as ambiance (some photo booths do this too). Some services offer a DVD selection as a take-home gift, pretty much all allow for attendees to view the content created by providing a URL and password. TIP–sometimes these services charge for downloads (prints always will cost money, but find a provider who will include guest downloads in your package. Your guests will appreciate it, and you can feel good about directing them to the site to view the photos–plus your vendor will get traffic and some more exposure). 4. Crowd-Sourced Remembrance: One winter I had a “sweets party” where I asked everyone to bring a dessert that was part of their holiday tradition (Thanksgiving, Christmas, Chanukah, Kwanza, New Years Eve). Prior to the event, as part of the RSVP, I requested that guests also reply with the dish that they would be bringing, provide a recipe (or a link to a recipe) and a quick anecdote about the how or why this was important. I also provided an email address if they wanted to share pictures or other art. As a thank-you keepsake, I gave guests a compiled booklet of all the recipes, musings, photos and such to keep handy for future use. This worked great for desserts, and could also be fantastic for cocktails and BBQs but don’t feel limited to food. Change the content for a shower and ask people to contribute their #1 way for sneaking in “me” time (baby shower), their favorite trick to finding time for romance or, if married or about to be, share their engagement story (wedding). ANOTHER TIP–Creating the booket in Word or PowerPoint? You can also save it as a PDF and then upload it to ISSUU and Viola! You have a digital version of your booklet to share with guests too! So savvy! 5. Seasonal Swag: Some things are just an effortlessly perfect match. For example, I have a regular Fashion Swap party every year. This party always results in guest needing to tote their new stuff finds home. If I were to plan one of these shindigs right now at the beginning of beach season, a beach bag might be a fun and totally useful parting gift that my friends would be able to break-in right away. I totally agree that a goodie bag is never a given, and I don’t believe a party-goer should ever be “entitled” to a gift, but should hosts want to give guests an additional memento, there are a number options beyond stale tootsie rolls and cheap plastic toys that are likely toxic. When reviewing options, keep in mind that this is quite similar to selecting other types of gifts, what may be helpful is to focus more on broader interests–ex: time of year, life events/stages–rather than more niche ones. Photo Credit Cardholder With Bouquet On Dining, courtesy of Rosen Georgiev / FreeDigitalPhotos.net. Alaiozaam-knformatian found, problem solved, thanks!